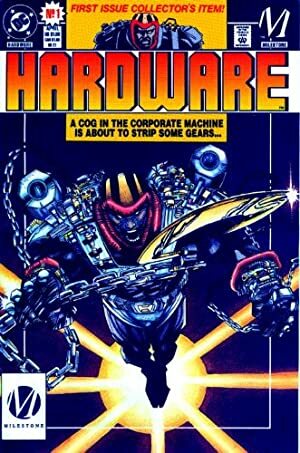 Reprise (a sort of mercenary, human Agent Smith) appeared early during the run of Milestone Comics’ Hardware, back in 1993. For more context, y’all can check our Hardware character profile. But Reprise is pretty much standalone. So to speak. Group Affiliation: Former employee of Alva Technologies. Base Of Operations: Unrevealed (likely either Dakota City, or Mobile). Reprise is a one-man army. Within seconds he can duplicate himself many times. 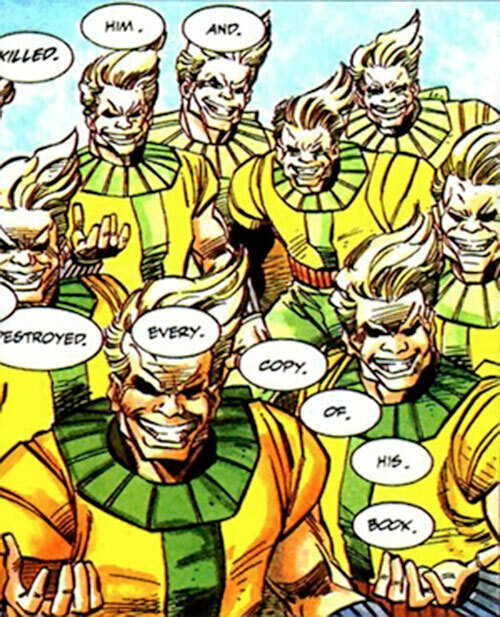 There presumably exists a maximum number of duplicates that can be active, or perhaps a time limit before he collapses back into one single person. But such a limit has yet to be observed. When he fought Hardware, there seemed to be at least 50 of him around. When the action starts he will usually send of a few duplicates to places where the fight is likely to drift to. These “advance troops” can quickly duplicate if the fight does move toward them. In practical terms, trying to evade him through conventional means is often pointless. If there is any reasonable way for him to be there, he will be there first. Reprise is armed with a simple shotgun and the knowledge that, sooner or later, one of him is going to score a lucky shot. This is not a figure of speech – his main tactic relies on “rolling a crit” (or a double, in DC Heroes RPG terms). His encounter with Hardware started going right once he finally rolled a double while shooting his high-RV opponent. 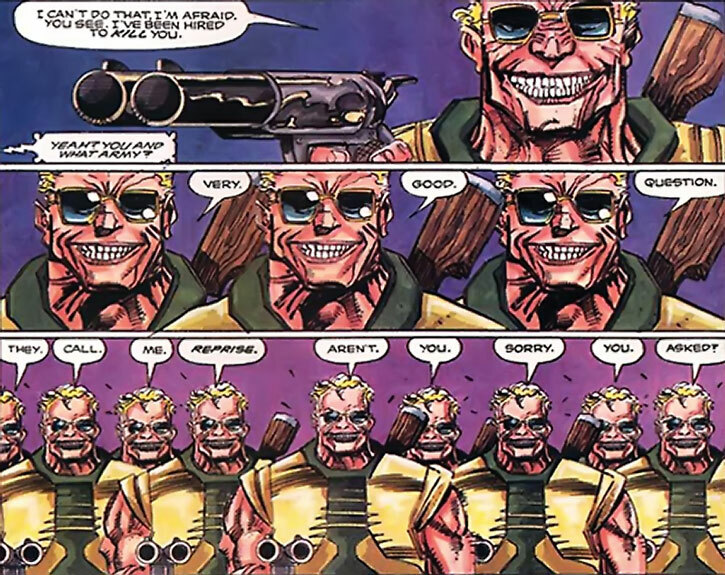 Since his duplicates also duplicate his equipment (including his shotgun), as long as he splits off holding a loaded gun he has a functionally infinite amount of ammunition. Reprise will replicate any equipment he’s currently using – *including* vehicles. There is likely a mass and/or time limit, but this is again undemonstrated. He could create at least 20 jetskis after he boarded one. 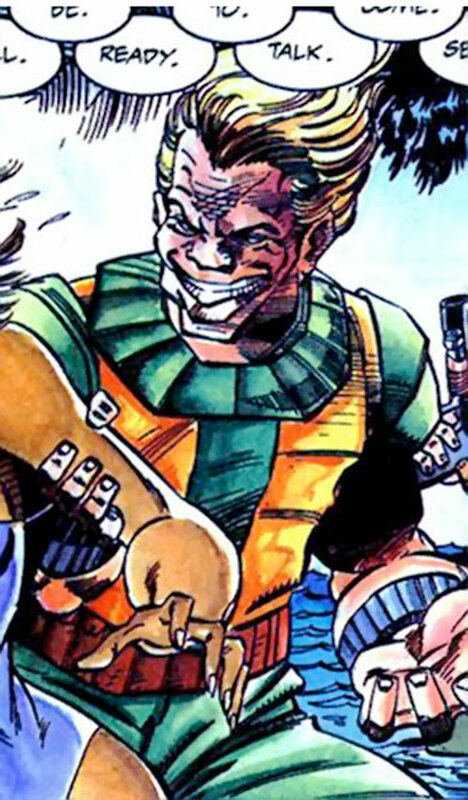 Reprise is a mercenary working for shady concerns around Dakota City, and possibly elsewhere. 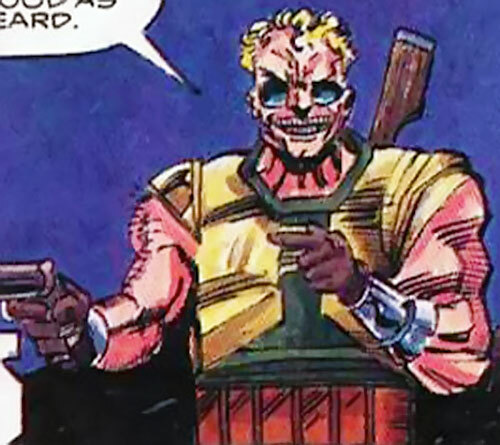 He was first seen after Edwin Alva started hiring mercs during the early stages of his war against Hardware. Reprise was positioned at an Alva Technologies building. When Hardware came in he engaged him as an army. Hardware narrowly got out alive after a lucky shot penetrated his shell. While he managed to blow up the warehouse they were fighting in, it is unlikely it had any lasting effect on Reprise. I’ll be back. And back. And back. Reprise then popped up again when he was hired to kill one Johnson Stroman, a racial justice activist, and prevent his latest book from being published. He eventually traced the manuscript to a friend of Hardware, Dr. Young, and found both Dr. Young and Hardware (as Curt Metcalf). 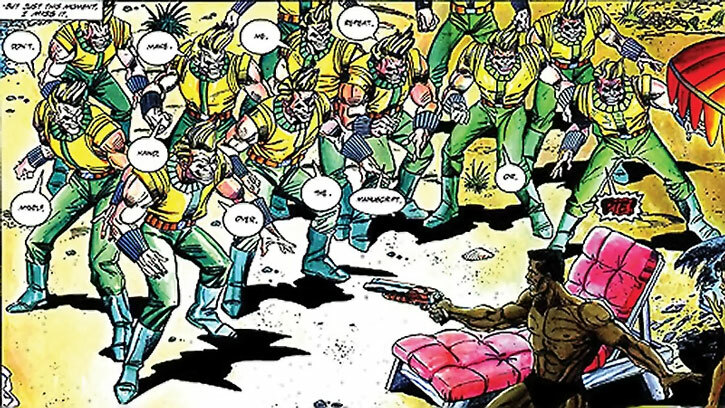 However, Metcalf grabbed away Reprise’s shotgun after he fired once and before Reprise created any duplicate. The duplicates thus came in unarmed. Reprise nevertheless chased Metcalf and Young. He eventually managed to corner them and get the manuscript. When he noticed that the handwriting was the same as his employer’s, he realised Storman had hired him to make him a martyr. Reprise thus left Metcalf and Young alive, assuming that his employer would have wanted to keep this copy of the book available for publication. In order to capitalise on the author’s assassination. When Reprise talks, he does that thing where every one of his body says a single word of the sentence, in the correct order and with the correct timing. Reprise seems confident. So confident, in fact, that he’s usually smiling and comes across as being cheerful. He knows that he’s practically impossible to kill and does not mind any pain or death his dupes might withstand. So he just goes for deploying himself as an army and blasts away, being everywhere his target goes (and in large numbers). Reprise seems to have some sort of mercenary’s code of honour. And it goes beyond the usual “once bought, stay bought” clause. He will always try to execute not only on the letter but also on the spirit of his contract. Reprise tries to accomplish what he understands is in the best interest of his employer. Even if that ends up being weird. When he was hired to kill Stroman, he assumed that the goal was to fully silence him. Once he was given new information, he completely changed the later part, seeking to preserver one manuscript for publication. Split does not lower any of Reprise’s APs, *including* the Split Power (i.e., his duplicates can also Split, and do so without any APs loss). Split will also duplicate large equipment – at least a jetski and possibly up to a car (+2). Shotgun [BODY 04, Shotgun Blast (Range 03): 06, Ammo: 07, R#03, Recommended STR: 02, Drawback: Very Long Reload]. While the art depicts a double-barelled sawed-off affair, Reprise keeps shooting more than two shots without reloading – I assume this is an artistic error and that the writer meant a semi-automatic or pump action shotgun. Backup shotgun [BODY 03, Shotgun Blast (Range 02): 07, Ammo: 02, R#04, Recommended STR: 03, Drawback: Long Reload. Note : EV can be raised to 08 Diminishing by shooting both barrels at once, expending two Ammo and increasing Recommended STR to 04]. This backup weapon can be assembled in one Phase – and *this* one seems to have been meant to be a sawed-off double barrel shotgun. Reprise will occasionally use other gear, such as a sniper rifle when he’s on an assassination mission. 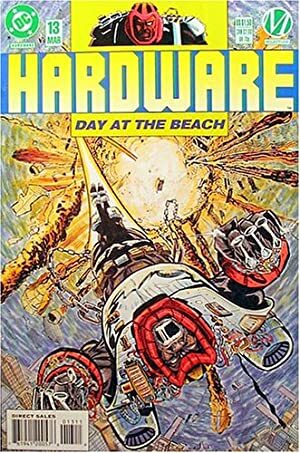 Source of Character: Hardware comic books (Milestone Universe).